Once your dog has transitioned to NomNomNow, we will send you "emergency meals" to store in your freezer. 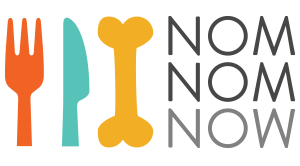 We know that life happens, and should a delivery ever get lost or stolen, these will ensure that your dog never goes without their NomNomNow. Upon receiving your "emergency meals", please place them directly in your freezer. Because they are vacuum-sealed, they will last in your freezer for 6 months. If you do not use your emergency meal packs within 6 months (as is the case with most customers), simply switch them out at the 6-month mark, with meals from a fresh delivery. To make this easiest, you may want to mark your emergency meal packs with a date 6 months out, and use this as an easy way to remember when to swap your emergency meal packs. If you ever do need to use your emergency meal packs, simply remove a meal pack from the freezer, and place the unopened bag in a bowl with warm water to defrost. You can also place meal packs in your fridge, where they will slowly defrost over night. We will send you replacement emergency meals in your next delivery to replenish your supply. Please be sure to save your dog's emergency meals for true emergencies! This is such a wonderful idea! I hope never to need emergency meals, but it certainly is nice to know you care enough to send them! Thank you! My westie, Hobbit loves your meals! Are the emergency meals are on top of the meals ordered? I believe emergency meal is a good idea. However, I think it's better just recommend customer to order emergency meal with the discount provided then wrapping part of the delivery as emergency meals. While this may prompt customer to order extra emergency purpose, it is kind of confusing at time of opening the package. And I believe the plastic bag will go waste.